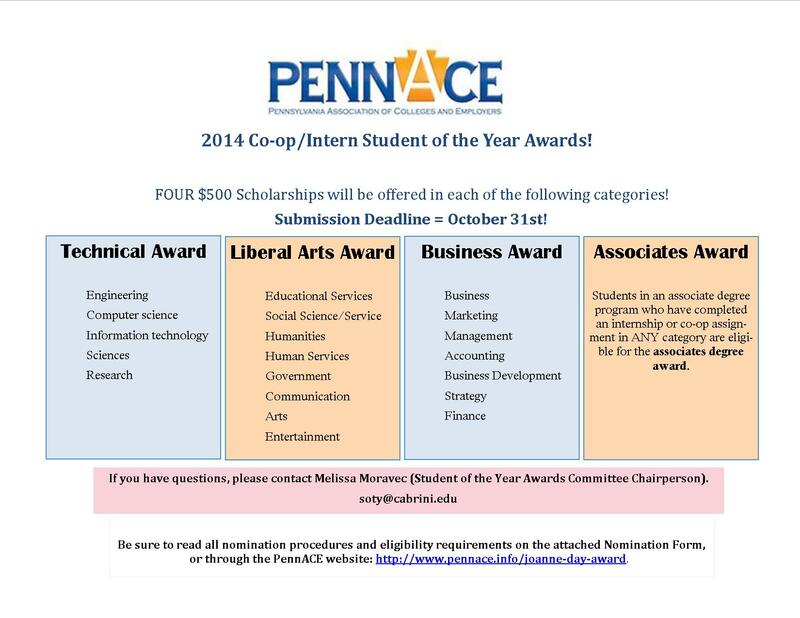 PennACE recognizes the achievements and contributions made by undergraduate students enrolled at member institutions who have completed an internship or co-op with the JoAnne Day Student of the Year Awards. There are four award categories: Business, STEM, Liberal Arts, and Associate's Degree. One recipient in each category is recognized and awarded with a plaque and $250.00 check. Select the category that best represents the nature of your internship/co-op; not the employer’s industry. STEM Award: Undergraduate students must have completed an internship or co-op assignment that is related to (or similar to) engineering, computer science/information technology, sciences or research. Liberal Arts Award: Students must have completed an internship or co-op assignment that is related to educational services, social science/service, humanities or human services, government, communication, arts, entertainment. Business Award: Students must have completed an internship or co-op assignment that is related to business, marketing, management, accounting, business development or strategy, finance. Associates Degree Award: Students who have completed an internship or co-op assignment in any category STEM, Liberal Arts, or Business. Applicants must have completed their undergraduate internship between August 2017 – August 2018 while enrolled at a PennACE member institution(Krissie, please hyperlink to the PennACE membership list). Internships completed outside of this time frame shall not be considered. 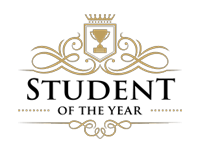 Applicants may only apply for one award category. The internship/coop can be for credit, non-credit, paid or unpaid. Share the links below with your internship site supervisor and your university/college contact and ask them to complete the appropriate form. The professional contacts you use will be asked to describe your internship experiences, challenges or recognitions, as well as accomplishments. If the applicant interns at their University, they still must submit two letters of support. Application packet materials must be received by Monday, November 19, 2018. Application materials submitted outside of the required time frame will not be considered. Please Note: Applications submitted outside of the required time frame will not be considered.